In February 1, 2011, President Benigno S. Aquino III signed Executive Order No. 23… titled: “Declaring a Moratorium on the Cutting and Harvesting of Timber in the Natural and Residual Forests and Creating the Anti-Illegal Logging Task Force”. This Executive Order has been enforced for more than 57 months now but illegal logging remains; particularly in Region 13. Isn’t FIFTY SEVEN MONTHS a lifetime for a government initiative? This small news item seems to indicate that illegal logging still exist BIG TIME! 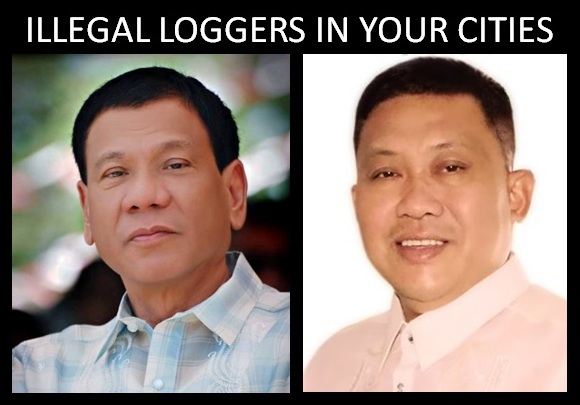 Calling the attention of Mayor Rodrigo R. Duterte of Davao City and Mayor Ferdinand M. Amante, Jr. of Butuan City… there are BIG TIME illegal loggers in your cities. Manila Bulletin, (November 24, 2015). “Campaign vs Illegal Logging”.